The nonlinear nature of predicting seasonal temperature in Europe | Watts Up With That? ‘Red sky at night, shepherd’s delight, red sky in morning, fisherman’s warning.’ This saying is one of Europe’s earliest rhymes that were used to predict weather for the following day. With advances in modern technology, from radar to satellite imagery, we can now predict weather well beyond the following day. European scientists have gone one step further, however, by predicting weather, not just days and weeks in advance, but a whole season ahead. Seasonal prediction can help us prepare against adverse weather conditions in the areas of agriculture, health and other industries. The findings were published in the journal Nature Climate Change. Seasonal predictions are the next hurdle faced by meteorologists but they remain a significant scientific challenge due to flow instability and nonlinearity, which occurs mostly in the mid-latitudes. In this latest study, researchers focused on whether preceding seasons rainfall allow scientists to predict the frequency of forthcoming summer hot days and physical causes of such a predictability. Led by the Laboratoire des Sciences du Climat et de l’Environnement (LSCE) and the Swiss Federal Institute of Technology Zurich (ETH Zurich), researchers in France and Switzerland observed that summer heat in Europe rarely develops after rainy winter and spring seasons over southern Europe. But they discovered that dry seasons are either followed by hot or cold summers. What this means is that the predictability of summer heat is asymmetric and that climate projections indicate a drying of southern Europe. The results suggest that the asymmetry that exists should create a favourable situation for the development of more summer heat waves with a modified seasonal predictability from winter and spring rainfall. The researchers noted that over the past decade Europe saw a number of exceptional summer heat waves with important impacts on society. The 2003 heat wave was the hottest summer on record since 1540 and led to a major health crisis and crop shortfall. Meteorologists were stunned when the record was shattered by the 2010 heat wave just a few years later. Maximum temperature measurements averaged over 7 days exceeding the average for this figure from 1871-2010 by 13.3 degrees Celsius. According to the researchers, extreme summers such as these could be considered as prototypes of summers of future warmer climate. But our ability to anticipate such events one or several months in advance, thereby giving us the chance to prepare ourselves, remains poor. The team analysed precipitation and temperature observations made in 200 European meteorological stations over a period of time stretching more than 60 years. From this they made some generalisations for the region of southeastern Europe, including that rainy winters and springs inhibit the development of hot summer days for the following summer season, while dry or normal rainfalls allow either a large or a weak number of hot temperature days. 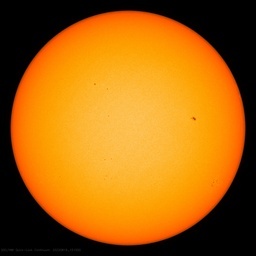 After dry months, a strong solar energy, associated with anticyclonic conditions, is transferred to the atmosphere through heat fluxes, amplifying drought and heat with a positive feedback. After rainy months, solar energy is largely used for evapo-transpiration instead, limiting the amplification of heat. Even after very dry winter and spring seasons, early summer heavy precipitations can annihilate the potential to develop extreme temperatures, which may have been the case during the 2011 summer, which followed an exceptional spring drought. Bwahahah. Ugh. My aching European ribs. Start by predicting the ever changing path of the jetstream, then come back and start justifying how one will be able to predict the weather and climate in Europe.. So basically they are saying : if it rains, it wont be as hot….. These guys are geniuses !!! Who would ever have thought that rain could reduce heat !! SUMMARY – PRECIPITATION: The forecast for average UK rainfall slightly favours drier than average conditions for April-May-June as a whole, and also slightly favours April being the driest of the 3 months. With this forecast, the water resources situation in southern, eastern and central England is likely to deteriorate further during the April-May-June period. The probability that UK precipitation for April-May-June will fall into the driest of our five categories is 20-25% whilst the probability that it will fall into the wettest of our five categories is 10-15% (the 197-2000 climatological probability for each of these categories is 20%). ‘We can now predict weather well beyond the next day’???? Apart from the UK Met. Office 3 month forecast for April, May, June being completely wrong and 180degrees away from the reality I suppose that statement could be true. I notice that the 2003 heatwave was basically confined to France. Depends where you went looking for one, and what you choose to ignore, I suppose. I remember summer 2003 being hot, peaking in the mid-30s Celsius in August; but here in the UK, summer 2010 was that non-materialising barbecue summer, cool and wet. Let’s dismiss what I’m saying as anecdotal and memory-based, for it is; but I was there in southwestern Iberia (and still am) and got several days with temps above 45 C, upto 49 C. Considering the graph above (all is blue in this corner of the woods), the average must be somewhat inflated around here, which I wouldn’t find unusual given the penchant of our local meteo services. Since 2001 I haven’t recorded a single temp above 42 C but during the 2003 heat wave, though. This June in the UK is warming up to be the wettest on record…global cooling has begun in ernest. Now, where did I put that 1548 central European parchment of temperature readings…? I don’t mean to be overly cynical, but this reads like “the weather is unpredictable [who knew?] therefore it could be worse than we thought”. [T]hey discovered that dry seasons are either followed by hot or cold summers. What this means is that the predictability of summer heat is asymmetric and that climate projections indicate a drying of southern Europe. I don’t get how the one follows the other. And there’s that word “projection” again. The word they use when they want us to think it’s a “prediction” when it really isn’t. But our ability to anticipate such events one or several months in advance, thereby giving us the chance to prepare ourselves, remains poor. they discovered that dry seasons are either followed by hot or cold summers. I think I can make forecasts as good as that. Didn’t the UK Met Office have some experience with seasonal forecasting? I was in France for 9 days near the end of April. There were 2 distinct weather patterns on either side of a line splitting the country east-west, with Paris to the west and Lyon to the east. The western (Atlantic) side received bands of rain and sunshine, from the ocean, several times a day with temperatures up to 12 degrees C and less. The eastern, inland side had sunny days of up to 20 degrees C. No surprise, England was getting similar weather to Atlantic France. It seemed to me that what was happening “out there” in the Atlantic, was more important than any previous succession of weathers on land. Well it seems like apple growers in the UK had the wrong forcast or didn’t check. And what was the result? The wettest April, May and June since records began in the 18th century. And these are the same models that forecast CAGW in 50 years time! une vague de chaleur en Europe en 2010 ? Ou ? pas en Bretagne, c’est sure! Europe’s temperatures are controlled by the strength of the Icelandic Low pressure system. In the summer this low moves from southwest of Greenland to the north-east of Iceland into the Nordic Seas, following the thermo-haline circulation’s down-welling. Its location governs the movements of the Artic jet stream, bringing more or less cloudiness over North or South of Europe. Change in the intensity of the Icelandic Low together with the North Pacific’s Aleutian Low is reason for the N. Hemisphere’s temperatures oscillations. I’ve made an attempt (with only a partial success) to reconstruct the Northern Hemisphere’s temperatures and N. Atlantic SST (the AMO) from the natural oscillations. Note: these are only de-trended data, the up trend since 1880 is intentionally left out at this stage of the data analysis. Yes, but they rarely got it correct. Interesting….as the thermometer was not invented in the sixteenth century and not standardized until Fahrenheit in 1714. Hey mister, need some Faux History to cover all that Faux Science ? “Red sky in the morning, sailor take warning. Red sky at night, sailor’s delight!” Red sunsets are an omen for smooth air and great visibility making for great flying weather. Having said that, what happens next week, weatherwise, is anybody’s guess! Bawhahahahaha!!! Exactly. As a resident if south east Spain I have extensive experience of the weather here for more than 13years. Our weather is dominated by the Icelandic low/Azore high pressure sytems as noted by NC state university….. This year the jet stream is much further south and has given the UK a very wet few months and our weather has been coller/wetter than usual – with the exception of two days this week when we had a sirocco and temps went up to 40C. So, predict for me the NAO in position, strength and duration and I will give you the weather for next year. Simple. I am in north central Iberia and the temperature is 17º celsius right now (3:00 pm) Passers-by are wearing sweaters. Yesterday was 35º, though. Actually I’d be quite happy if the UK Met Office could predict tomorrows weather accurately. Be a nice change. I love the statement that “dry seasons are either followed by hot summers or cold summers.” That really nails it down. Don’t they realize how utterly ridiculous that sounds. They should just sit back and wait for their Nobel Prizes in science to be announced. Good grief! Predicting the jetstream is what Piers Corbyn’s weather action is all about. They use the so called Solar Lunar Action Technique. And it seems they are still stunned! Axiom #27: Pay no attention to stunned meteorologists. What mambo jambo! Drying of southern Europe… LOL as if we waited for these clowns in 2012 to understand why! And scare mongering with heatwaves to boot… Meanwhile your just need to read “la Dynamique du Temps et du Climat” by Leroux to understand the evolution and its cause. Uk weather generally moves in from the Atlantic, the west, as the sun sets in the west if you can see a red sky in the evening then the clouds have moved across the country to the east and reflect the setting sun from the west, clear skies ahead. The sun rising in the east is reflecting from a cloud bank approaching from the west, rain ahead. Old wives tales, or a means of passing on weather forecasting from generation to generation. I believe Joe Bastardi predicted a real hot spell here in the US for this summer based on his findings that we would be hit with the dead cat bounce of global warming before the onset of a cold winter. Looks like he is right so far. I’m making sure I have alot of firewood for the winter. Seasonal weather forecasting done with historical analogues of recent conditions: pretty successful. Actually, they did make predictions seasons ahead. They just don’t mention the total lack of accuracy in their predictions. Prediction is easy. Getting it right is the hard part. Luckily the scientists get paid whether they are right or wrong, unlike the rest of us. I guess everything is relative. Global warming causes hot summer in the USA while in the UK Climate Change is causing . . misery. Anybody catch the “climate projections” addition? Did they add the fudged AGW signal from models to their review of analogue years? What constitutes an extreme summer and temperature? Some time ago I wrote an article highlighting effects of the NAO, including close relationship of the Azores High and the negative Icelandic Low, with the AMO’s delayed reaction. In 2002-2003 I was doing manual work outside throughout July and August in the south of France. Hottest days were seeing low 40 C temps. There has been nothing comparable to that since then. The “2010 heat wave” must have been defined to fit whatever temperature it was or they chose the right bit of “southeastern Europe” to fit required result, but it was nowhere like 2003. You may wish to say this is just a local anecdote, but then so is their “finding”. They are also free to chose which area they report on since this does not seem to have be publicly declared at the outset, so theirs is anecdotal and cherry-picked. Eh. They just mean by this it was hotter in 1540 than in 2003. I wonder how the sins of our forefathers could bring about such a severe punishment. 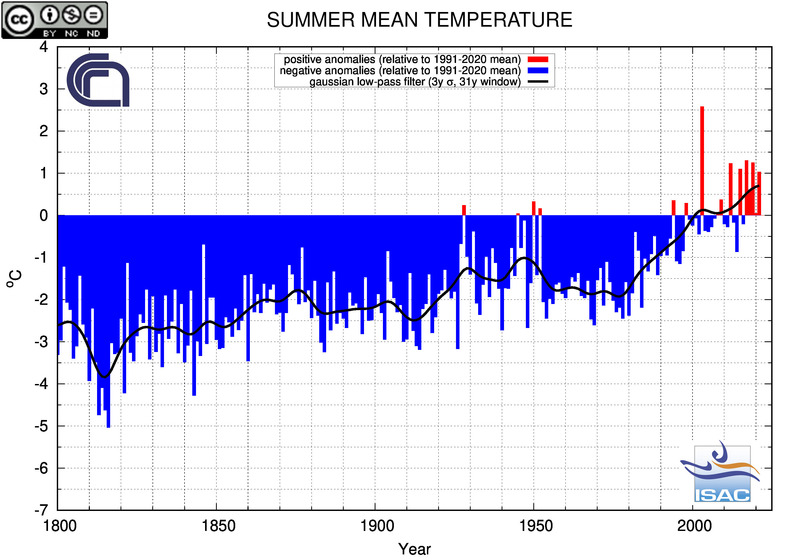 According to Buisman’s recent findings, the year 1540 was an even more severe summer than 2003. All over Europe, the heatwave lasted, off and on, for seven months, with parched fields and dried up rivers, such as the Rhine. People in Paris, France could walk on the river bed of the Seine without getting their feet wet. [In England] on March 2, there was a tempest. In England, there was great heat and drought. In England in the summer of 1540, there was an excessive drought. Wells, brooks and rivers were dried up. The River Thames was so low that the salt water flowed above London Bridge. During the end of summer there came a great mortality over the whole Nation because of an epidemic of pestilential ague and blood flux. But in other places, it was the hottest and healthiest year in the memory of man. [In Europe] in 1540, the summer was much hotter and drier than in a large number of preceding years. In England, the drought was also excessive, and the wells, springs, rivers were dried up. The River Thames was so dry that the salty seawater moved upstream above the bridge at London. The drought in summer in Germany was so great that they suffered from a lack of the necessaries of life [food, drink]. In Belgium, the grain and grape harvest was over at the beginning of August. But in Dijon, France the grape harvest did not occur until 4 October. The price of corn [grain] in France went down to half. In Italy, after a drought of five months, a deadly heat wave occurred and the forests erupted in flames. The glaciers of the Alps melted. The summer of 1540 was unusually hot in France. In 1540, the island of Sardinia [in the Mediterranean Sea off the west-central coast of Italy] was desolated by a famine. From 1540 to 1543, there was a general famine in the Sind [now Pakistan]. In 1540, there was a famine in the Bombay Presidency in India. — During the period between 6 May and 4 June, floods due to heavy and protracted rains struck Hunan province in south-central China at Ching. During the same period of time, floods struck Kwangsi (now Guangxi province) in southern China along the border with Vietnam at Ma-p’ing and Hupeh (now Hubei province) in central China at Huang-p’o. — During the period between 4 July and 1 August, floods struck Szechwan (now Sichuan province) in southwest China at P’êng, Ch’ung-ning, Hsin-fan, K’ai-chiang and Chin-t’ang. Innumerable houses damaged by the floodwaters. Innumerable people and cattle drowned. — During the period 1-29 September, floods struck Shansi (now Shanxi province) in northern China at Lin. Houses and city walls were damaged by the floodwaters. In 1540, a drought engulfed Kweichow (now Guizhou province) in southwestern China at Shih-ch’ien. During the period between 6 May 1540 and 5 February 1541, a drought engulfed many regions of China. In 1540 during the summer and winter, there was a drought in Hupeh and Kweichow provinces in China. In 1540 during the 7th moon in the vicinity of Shanghai, China, there was a roaring of the sea; a northeast wind; several myriads [a very great number] were drowned; it was a year of dearth; men and crops perished. Anyone who actually has lived in Europe knows that the red sky bit doesn’t damn work because the weather comes from the east much of the time, something Eli eventually figured out when living there. It does work, more or less on the Atlantic coast. No, this is not possible. You can not predict future just looking in the past without knowing exactly what causes what. To those, who disagree: here are numbers 3,6,5,4,7,5,4,6, please, predict the next one. I have extended the forecasts for the lower 48 into Canada because I was able to get the raw data from environment Canada for free, I was able to generate forecasts for Australia, because I was able to buy a set of the raw data from the BOM (data sets are noted at the bottom of pages showing the Australian maps). If I were able to get hold of the raw data back to 1950 for the U.K. and the rest of Europe, I could generate forecasts for these areas as well. Take the challenge and actually look at what I have found, just because a coin lying on the pavement is smaller than a penny, doesn’t mean you shouldn’t pick up a $10 gold piece. Daily Maps posted for more than a year tested at 65% accurate in precipitation accuracy, and 23% of temps fall within 3 degrees F of actual. The residual bias for the city and airport stations is running about 3.26 degrees warmer in actuality, than the forecast values, can you say UHI anyone? I’m still waiting for them to give accurate, 24 hours ahead forecasts. How about it chaps? For several years I kept track of DMI’s seasonal forecasts. For some strange reason their success rate was well below pure chance. Probably something only models can accomplish. In Europe the summer of 2003 was much warmer than that of 2010, the two summers are not comparable. Yest, but. The European part of Russia was hotter in 2010 than it was in the year France was way cooler than in 1540 but hotter than in any year in between or after, was not it? It is not just worse than we thought, we could not even think of a tangled mess like this would ever occur. Only if the Precautionary Principle is applied to our ignorance, which is perfectly settled, it gets really alarming, because now we can see clearly, that anything can happen, even the opposite of our well founded projections, due to ever increasing anthropogenic carbon pollution, what else?